Beginning with the 1980s, China’s reform and opening, accelerated the modernization of Chinese society. Chinese artists began to engage in new artistic practices, experimenting with all of the modernist art movements. Under the onslaught of globalization, Chinese contemporary art constantly shifted and grew alongside China’s social reality and cultural context. New concepts, ideas, techniques and materials were incorporated into artistic practice. Chinese contemporary artists pursued freedom of expression, presented their inner experiences and examined their state of existence, rushing the stage of international art with their unique perspectives and judgments. 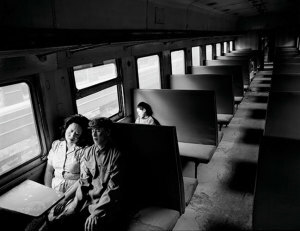 Today, Chinese contemporary art has grown to become a powerful and unique force in the world of contemporary art, the distillation of modern Chinese civilization. "New Sights in Chinese Contemporary Art" Art Show in Bucharest. You can get here description, reviews, address, time and details of "New Sights in Chinese Contemporary Art" Art Show in Bucharest. Visit Bucharest Tips for more Art Show events in Bucharest!